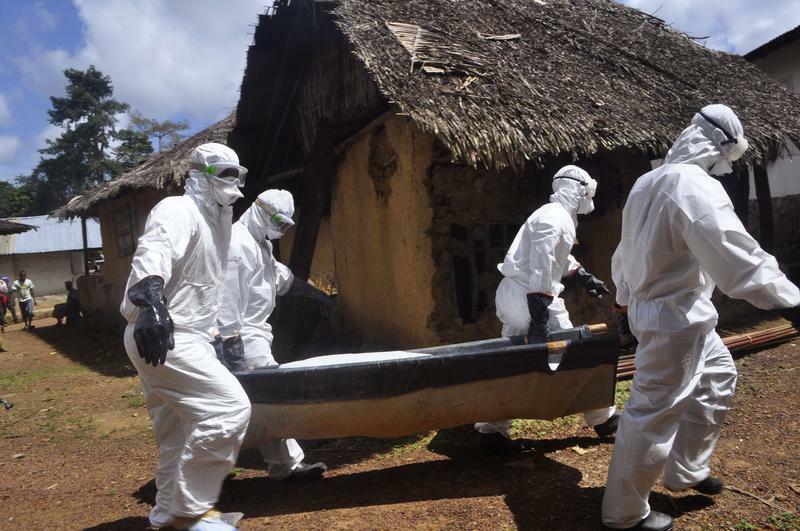 Four health workers transfer the body of a Liberian woman suspected of contracting the Ebola virus. AMANDA ARONCZYK: Dr. Feinberg's report said that, 'in the end the politicians were just trying to do right by the public. Sure there were missteps but they were in good faith, not cynical plays for political gain.' The same however, cannot be said for 2014. That summer there were two competing news stories, a highly contested midterm election and a surprisingly large outbreak of Ebola in West Africa. Matthew Gertz a senior fellow at Media Matters was watching both and started seeing something peculiar in that Ebola coverage. There was rising fear of an outbreak not there, but here. MATTHEW GERTZ: I first started noticing this in August of 2014. MATTHEW GERTZ: You had two American missionaries who had been in West Africa who had somehow caught Ebola and were brought back to US medical facilities to be treated. MATTHEW GERTZ: And around that time, you saw a sort of increasing attention to the disease not in so much as it was a lethal threat to lots of people in West Africa but as to whether it was a danger to people here in the United States. MATTHEW GERTZ: And that ebbed and flowed but then really picked up in October of 2014. And that's when we saw several medical personnel here in the United States who had come back catch the disease, be diagnosed and then an ocean of coverage followed that. MALE CORRESPONDENT: We're deeply concerned by the news that a health care worker in Texas has tested, preliminarily, positive for infection with Ebola virus. MALE CORRESPONDENT: This is a very dangerous infection and every medical person who takes care of these people understands that there's a risk even if you are perfect using all the gear. FEMALE CORRESPONDENT: Goggles, masks hoods, two pairs of gloves, one is a nitrile and the other one is latex. Rubber boots--. MATTHEW GERTZ: This was when Donald Trump really entered the storm. MATTHEW GERTZ: When the missionaries were being transported back to the United States, he issued a series of tweets warning that it was a danger to the country. MATTHEW GERTZ: And the White House later reviewed this and ended up concluding that Trump's tweets were a decisive turning point. That they started this process by which the American public was becoming increasingly fearful of their own safety around Ebola. It didn't stop there of course. He ended up tweeting about Ebola nearly 100 times over the next three months, going through the election and was among the first to call for a big travel ban between those West African countries and the United States which we later saw picked up by Republicans who were running for elections that fall. AMANDA ARONCZYK: And why do you think that those tweets were so effective? AMANDA ARONCZYK: I went back and looked at the coverage and at the time public experts are making it very clear that there is no chance of a widespread Ebola outbreak in America. Why do you think that that rational science-based message was completely drowned out? MATTHEW GERTZ: I think it's difficult when you have this sort of news apparatus where you have a CDC expert coming on and explaining, calmly and rationally, this is a serious disease but we have the situation well in hand. MATTHEW GERTZ: And then the next segment is somebody claiming that ISIS terrorists all they have to do is go over to an Ebola infected zone, get themselves infected and then somehow come to the United States and get on a subway and they'd be able to have this massive impact and kill lots of people. 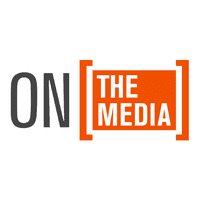 MATTHEW GERTZ: The way in which serious news coverage and this sort of infotainment, shlock journalism gets put back to back, I think, can't help but really confuse the public about what's going on. AMANDA ARONCZYK: Now you found that there were nearly a thousand news segments about Ebola in the month before the 2014 midterms and then in the two weeks following the elections there are just 50 news segments. Is that because the outbreak is over? MATTHEW GERTZ: What I think this data really shows is the confluence of media coverage and political gamesmanship. The Republicans made a very public effort to turn Ebola into a major political story. They wanted to create the sense that the Obama administration was endangering the public. That their careful consultations with experts and their attempt to try to find solutions without stampeding into massive travel bans or anything like that was going to get people killed. And I think the media to an extent played along with that. And then immediately after the elections when, you know for all intensive purposes, there was nothing for Republicans to get out of the story, they had already won, they stopped talking about it. The press stopped talking about it and the story went away. I think the takeaway was that you can fearmonger like this and be very successful in American politics and I think that's a very dangerous message. AMANDA ARONCZYK: Matthew Gertz, thank you very much. MATTHEW GERTZ: Thanks so much for having me. AMANDA ARONCZYK: Matthew Gertz is a senior fellow at Media Matters.